Mrs. Sandra Griffin-Bailey, 69, of North Charleston, SC, entered into eternal rest on Saturday, November 3, 2018. The relatives and friends of Mrs. Sandra Lee Griffin-Bailey are invited to attend her Funeral Service 11:00 AM, Friday, November 9, 2018 at Royal Missionary Baptist Church, 4761 Luella Avenue, North Charleston, SC. Viewing will be held Thursday, November 8, 2018 from 3:00 PM - 7:00 PM at the mortuary. 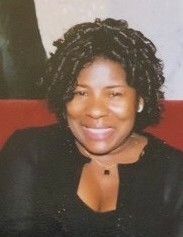 Mrs. Griffin-Bailey is survived by her husband, Frederick Lee Bailey; children, Andrea Griffin Scott (Terrence), Deboris Brandon and Sharee Bacote; grandchildren, Vanessa Cannon, Arian Ford, Jaylin Bacote and James Bacote; great-grandchildren; parents, Lucille White (Silas); siblings, Brenda Brown (the late Ronald), Arnold Leary and Sharon White; special cousin, Jacqueline Brathwaite (John); and a host of other relatives and friends.